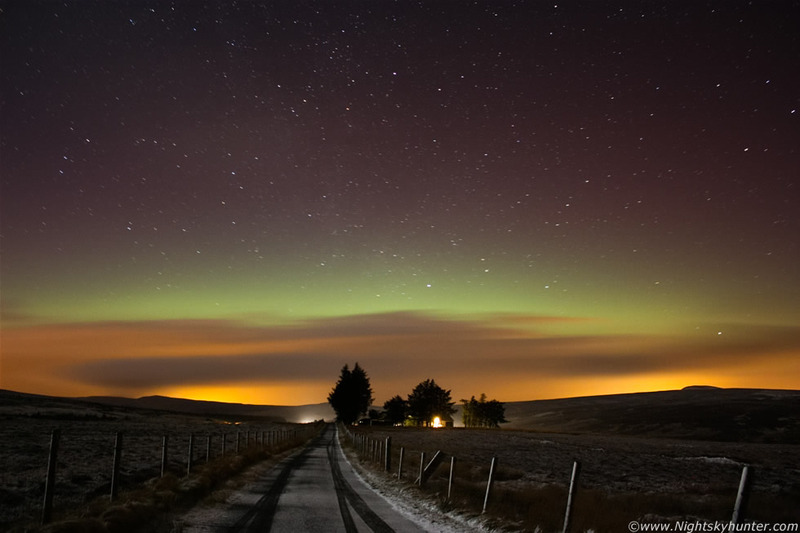 Faint aurora borealis display from a G1 geomagnetic storm over Glenshane Pass on a freezing Winter's night during 2011. The green and red colours are all part of the aurora. A light dusting of snow can be seen on the ground.